As contaminated food supplies continue to make headlines, sanitizing in commercial settings has never been more important. You want e. coli with that? Improper cleaning procedures is enough to make customers sick! 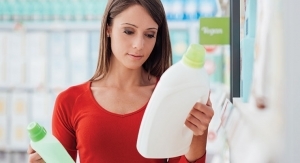 Earth Friendly Products rolled out user-friendly packaging during ISSA. Produce has to be washed and cleaned before it is served to customers. One illness among patrons is one too many, and can ruin a business, notes Todd Wichmann, president and CEO, HealthPro Brands, maker of Fit Organic. The newest Clorox formula does more than clean and disinfect, it removes odor, too. When a burrito goes bad, it’s bad for business—just ask Chipotle Mexican Grill. The Tex-Mex titan of fast food has been hammered by investors and would-be patrons for the past two years over foodborne illnesses. Most recently, in August, the company said it would retrain all of its restaurant workers nationwide on food safety after more than 600 customers became ill after eating at one of its restaurants located in Powell, OH. Unfortunately for fast food lovers, bad bugs are cropping up everywhere. In September, the US Centers for Disease Control was notified of 511 laboratory-confirmed cases of Cyclospora infections in people from 15 states and New York City who reported consuming a variety of salads from McDonald’s restaurants in the Midwest. The outbreak occurred earlier that summer and McDonald’s voluntarily stopped selling salads at more than 3000 locations in 14 states. While bad for the restaurant business, health concerns like these are good for the industrial and institutional cleaning industry. I&I product sales rise 2% year-in and year-out, according to Kline, but growth rates vary greatly depending on the category and company size. 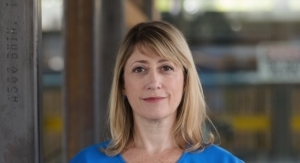 That said, Ferris explained that community-associated infections are also on the rise and widely publicized outbreaks have increased awareness of infection prevention across the board. Under the new CloroxPro brand, the company is looking at facilities holistically and providing an expansive, unified portfolio that offers the specialization needed to meet distinct facility needs, like C. diff prevention in hospitals or killing parvo virus in vet offices, as well as deep expertise and leading solutions for challenges that all commercial facilities face, like tackling stains and odors in public restrooms. Two years ago, the company launched Clorox Healthcare Fuzion Cleaner Disinfectant, which Ferris described as a truly next-generation bleach product that was the first to combine the broad-spectrum efficacy and fast kill times of bleach with broad surface compatibility and very low odor. “We spent years developing this shelf-stable product and the revolutionary technology it uses to eliminate the chemical reaction that can damage surfaces and leave a residue,” he said. The solution contains sodium hypochlorite and a neutralizer that, when combined, form hypochlorous acid. The result is a highly effective one-step cleaner and disinfectant with broad surface compatibility and little to no residue that also has the fastest contact time for C. diff spores. According to Ferris, Fuzion has been extremely well received, so much so, that a growing number of healthcare facilities, including Fairfield Medical Center and St. Vincent Healthcare for example, use it facility-wide. Earth Friendly Products has been operating in the institutional and food service space for years. 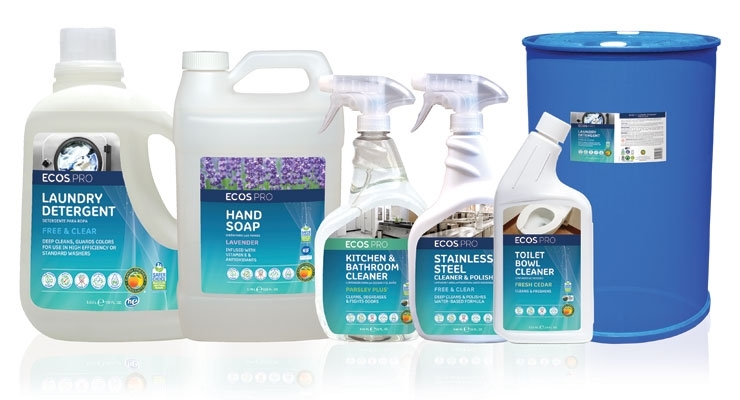 The company produces the Ecos line of environmentally-friendly cleaners. Most recently, Earth Friendly Products rolled out a new label design at ISSA. 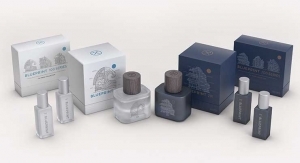 According to company executives, the primary reason for the new labels is that they are now designed with a color scheme that helps users in hospitals, schools, restaurants, and other industries quickly, easily and accurately identify the right product for the right cleaning application. Users no longer need to stop and read every label to ensure they are putting the right product on the right surface. 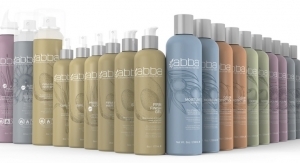 Additionally, the labels now share a similar color scheme to Earth Friendly Products consumer line, which company executives say will help both sides of the business. HealthPro Brands CEO Todd Wichmann says same-store sales of his Fit Organic produce wash rose 80% at Kroger’s following the recent outbreaks of foodborne illnesses. But now, Wichmann is taking his Fit formula to the industrial and institutional cleaning industry. New Fit Fresh Anti-Microbial Produce Wash kills 99.9% of food-borne pathogens such as E. coli, Salmonella sp., Listeria and Staphylococcus aureus on fruits and vegetables. 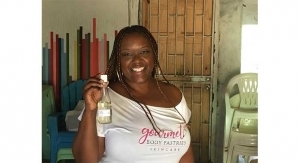 The formula is EPA-registered, FDA-approved and OMRI-certified. 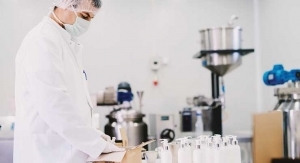 According to Wichmann, the formula is a combination of certified organic surfactants (saponins) and chlorine dioxide—the first of its kind in the market. It is specifically designed to clean and sanitize produce, but it can also be used in the meat and dairy industries, too, according to Wichmann. Fit Fresh Anti-Microbial Produce Wash contains chlorine dioxide, a sanitizing agent that Wichmann calls the best there is on the market—but ClO2 is very unstable. To overcome this limitation, Fit is shipped in a sachet with a membrane; the user just adds water and dilutes as necessary. “No one offers this delivery system,” asserts Wichmann. Now, HealthPro Brands has another way to physically deliver its products, too, having inked a deal with Waypoint as its national sales and marketing agency in the US. Wichmann says the partnership leverages Waypoint’s unparalleled strategic business intelligence, channel expertise and proficient scalable execution. 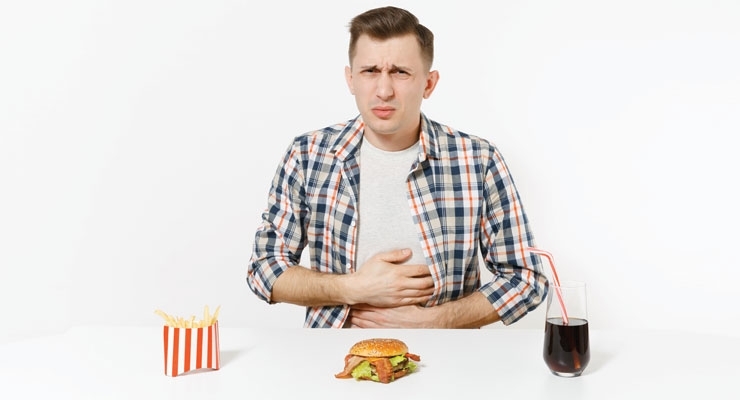 According to the US Centers for Disease Control and Prevention, between 2009 and 2015, there were 5,760 reported foodborne illness outbreaks, which resulted in more than 100,000 illnesses. 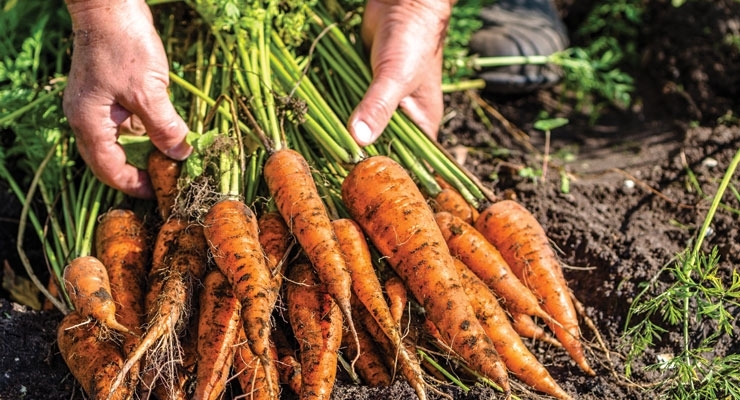 What’s the number one food source responsible for the most outbreaks? Chicken. But poultry is by no means the only source of contamination. Just last month, the FDA said it was working with Conagra Brands to investigate salmonella contamination in Duncan Hines cake mixes. The CDC notes that anyone can become sick with a Salmonella infection, but infants, children, seniors and people with weakened immune systems are at a higher risk of serious illness because their immune systems are fragile. 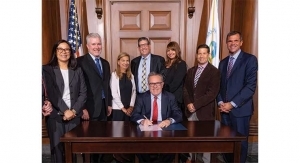 That was heartbreakingly evident in New Jersey last month when 10 children died of an Adenovirus outbreak at the Wanaque Center for Nursing and Rehabilitation and 27 others were sickened by it. A second outbreak of the virus was reported at the Voorhees Pediatric Facility, also in New Jersey. Adenovirus is a common viral infection that most often infects airways. According to health experts, disinfectants such as 0.55% orth-phthalaldehyde and 0.2% peracetic acid are effective at killing adenovirus. That old Jerry Seinfeld bit about Tide’s ability to remove bloodstains, “If you have bloodstains on your shirt, I think you have more things to worry about than clean laundry,” gets taken to a whole new level with Clorox Commercial Solution’s Disinfecting Bio Stain & Odor Remover, which promises to remove blood, feces, sweat, vomit and urine stains—which are all part of the job for custodians. According to Clorox, the product is scientifically formulated to break down bio soils, eliminate stains and odors and kill microorganisms in as little as 30 seconds, helping reduce the spread of harmful microorganisms and keep surfaces clean and stain-free. With the oxidizing power of hydrogen peroxide and stain-lifting power of surfactants, the unique formula provides strong cleaning performance, and is compliant with the Occupational Safety and Health Administration (OSHA) Bloodborne Pathogens standard. 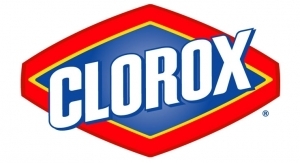 Clorox Professional regularly surveys cleaning professionals to help better understand the challenges that they face across all facilities and the products and resources needed to meet them. In one of its most recent surveys, Clorox Professional wanted to better understand the real problems that facility managers face with bio stains and odors. The new formula promises to remove all of these bio soils in one step on both hard and soft surfaces. Ferris said that until recently, cleaning professionals typically relied on multiple products to absorb, clean, disinfect and deodorize surfaces when bio soils are present, because there was no single go-to product to effectively treat hard and soft surfaces in one-step. 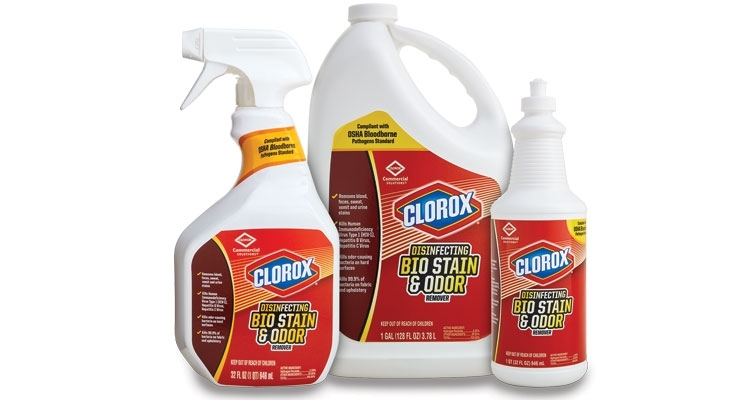 Clorox Disinfecting Bio Stain & Odor Remover is scientifically formulated to clean, disinfect and deodorize surfaces, reducing the number of products needed to one. As the weather gets colder in the Northern Hemisphere, custodians in the region have their work cut out for them. The Disinfecting Bio Stain & Odor Remover isn’t the only news out of Clorox. New Clorox Total 360 System for Healthcare combines electrostatic technology with EPA-registered disinfecting and sanitizing solutions to quickly and easily provide superior coverage in even the hardest-to-reach places. Designed for efficient, comprehensive surface treatment and broad surface compatibility, the Clorox Total 360 System is an ideal solution for large and difficult to clean spaces, surfaces and objects in healthcare settings and can be used in patient care areas, disinfect wheelchairs and other mobile equipment and to improve environmental hygiene in high-traffic public spaces such as waiting rooms, hallways and rehab units. The innovative system covers up to 18,000 square feet per hour, achieving superior surface coverage up to 75% faster and using up to 65% less product compared with traditional disinfectants per square foot, according to the company. Clorox Healthcare VersaSure Cleaner Disinfection Wipes are said to be versatile enough to use on common healthcare surfaces with the assurance of broad spectrum disinfection. The low-odor, low-residue, alcohol-free formula’s patented technology enhances quat activity to deliver broader efficacy and faster kill times without co-actives. EPA-registered to kill 44 pathogens in two minutes or less, VersaSure provides the speed and efficacy healthcare facilities need, with superior aesthetics, wetness and cleaning power for convenient, compliant use facility-wide. VersaSure is compatible with a broad range of hard, non-porous surfaces and available in a variety of sizes, including multipurpose and terminal wipes. According to Ferris, environmentally-friendlier formulas are definitely popular, but the reality is that for most commercial facilities, “a ‘green-only’ approach just isn’t realistic. 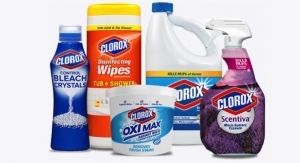 At a high level, Clorox has discovered that most commercial settings are focused on reducing costs and want highly effective products with low toxicity profiles that are easy to use. That’s why the company approaches the professional cleaning industry from a public health perspective and focuses on practical, effective solutions for the toughest challenges in each of these settings, explained Ferris. When end-users need help now, Diversey’s Remote Guidance augmented reality tool is at the ready, according to officials. Remote Guidance is an iOS- and Android-based virtual reality tool that improves product trouble-shooting beyond face-to-face phone calls and video chats. 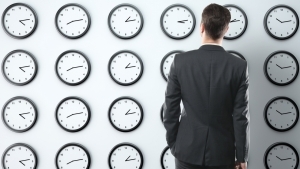 In real-time, users can identify problems and quickly assess solutions through interactive experiences. In addition to improving end-user training, Remote Guidance prevents equipment shutdowns, assists personnel onboarding, and provides distributor sales representatives application expertise anytime and anywhere they are needed, according to Martin. Earlier this year, Diversey launched Wood Care by Diversey, a program developed with the help of Bona, a leader in hardwood floor installation, renovation and maintenance. Designed for K-12 educational facilities, the wood floor care program was recently awarded a 2018 New Product Award from School Planning & Management and College Planning & Management magazines. According to Ryan Greenawald, director, facilities and machines marketing, Diversey, the program features an industry first, two-year guarantee, plus smart systems and more than 30 time-saving and appearance-enhancing solutions that simplify floor care and protect valuable flooring assets in high-traffic areas like school gymnasiums and auditoriums. Cutting prep time and eliminating downtime are critical in the labor-intensive I&I cleaning market. 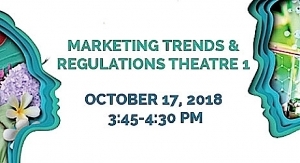 • The nearly $1.3 billion institutional laundry chemical category is growing 3% a year as it goes through loads of changes, with more facilities outsourcing on-premise laundry operations to commercial laundries, according to a recent study by Kline, which conducted 500 surveys with laundry operators and published its findings earlier this year. Kline asked survey recipients the most critical buying factors when it comes to I&I laundry products. The biggest requirement was stain removal, which was most important for all end uses, but was especially high in extended care and commercial laundries. Sanitizing and disinfecting properties were also critical; while extending linen life was especially important for lodging users. 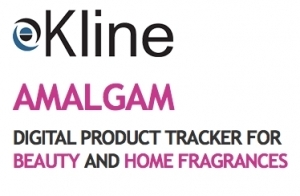 The Kline study provides complete analysis of the market by end-use segment, product category, supplier and channels of distribution. It provides current and future outlook for key sectors, including commercial laundries and major and minor on-premises laundries (OPLs). It reviews the penetration of textile rental and its future outlook in key market sectors, as well as consolidation into shared and central facilities in the hospital sector and other segments. The study also reveals the impact of environmental sustainability and the role of green cleaning products and alternative processes; the role of machinery; and provides end users’ perspectives on emerging trends such as Internet of Things (IoT), shifts in channels of distribution where laundry chemicals are purchased and fabric/linen trends. Here’s to the Winners of the ISSA innovation awards! • The industrial and institutional cleaning industry was in Dallas this fall for the annual ISSA Show North America. For manufacturers, distributors and cleaning professionals, the event is the place to see, hear and talk about the latest innovations in the I&I space. Toward the end of the final day of the ISSA Show, the action on the show floor focused on the ISSA Innovation Marketplace as participants prepared to learn the identity of the winner of the 2018 ISSA Innovation of the Year Award. 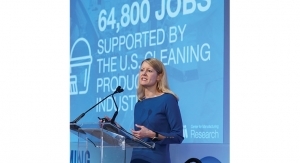 The ISSA Innovation Award Program is a platform to gather and recognize the cleaning industry’s most innovative products and services from top manufacturers and suppliers. This year, the 2018 ISSA Innovation of the Year Award went to EvoClean by Hydro Systems Co. EvoClean is a venture-based, water-powered laundry chemical dispenser for on-premise laundry applications. • Tork PeakServe Continuous Towel Refill and System by Essity Professional Hygiene North America LLC. • Supplies and Accessories: Unger Excella by Unger Enterprises.